For decades, the gatekeepers to reach large audiences of book consumers meant going through retailers, publishers, libraries, and national media outlets. These organizations hold the keys to reaching millions of readers. But, access to their audiences are limited unless one purchases paid advertising, hires a publicity firm, or undertakes an expensive, time-consuming, tour of the country. 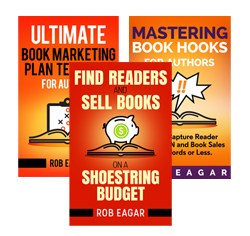 For the most part, authors who want to reach the masses are at the mercy of these options…until now. As these authors built huge audiences over time, they made it much easier to sell thousands of their books. But, more importantly, they began to attract attention from other entities seeking access to their audience. That interest has created exciting new revenue opportunities for the authors through paid advertising, joint partnerships, corporate spokesperson roles, etc. In an ironic reversal of roles, authors who had to pay companies for advertising now charge companies to advertise products to their audience. The authors listed above routinely receive thousands of dollars for individual ad space. This growing trend represents one of the most exciting times in literary history to be an author. If you’re an author, how can you capitalize on this opportunity? 2. Place special priority on growing your email subscriber list. Facebook is constantly changing the rules. Whereas, your email list is the one audience component that can completely control. • Offer paid advertising and attract like-minded companies and sponsors. • Make yourself available as a paid corporate spokesperson. • Start your own national radio program, TV show, podcast, or YouTube channel. • Host your own live events that attract thousands of attendees. • Create inner-circle groups where people pay premium fees for exclusive access. The digital revolution has made today an exciting time to be an author, especially if you learn how to build a sizeable audience. Why rely on the old gatekeepers to reach readers when you can be the new gatekeeper?